Gustavson Column: Headed for two nations, under God? The Other Times informs us this week that 11 counties in Colorado are mounting an effort to secede from the rest of the state because it’s too liberal. “They bristle at gun control laws and marijuana shops, green energy policies and steps to embrace gay marriage and illegal immigrants,” The Times reports. And to that you most likely can add Obamacare, the health insurance initiative that Congressional Republicans are attempting to undo after the fact, bringing the federal government to the brink of insolvency in the process. And that’s got me to thinking. Maybe we should gladly let them go, along with the other Red counties and states that share their regressive attitudes. In fact, why don’t we let them break away from the union entirely, forming their own nation of Ye Olde United States. Then, and only then, can they void the Emancipation Proclamation and reinstitute slavery, which has been their secret objective from the start, no doubt. Yes, let the troglodyte Congressional Republicans who are attempting to undo Obamacare after the fact have their own nation. And the rest of us will gladly have ours, one that is progressive, not regressive, and that shares the belief that all men and women are created equal and entitled to equal opportunity. Let’s see. We’ll take New England (although, admittedly, some of our neighbors to the north have not yet accepted Obamacare), the Mid-Atlantic states and most of the Rust Belt, with the possible exception of Detroit, which would be better off in Canada, don’t you think? Then I suppose we can write off most of the Southeast (except maybe Florida, with vacations in mind; also see Hawaii and Alaska, below) and Southwest. We’ll take the West Coast states, the aforementioned last two jurisdictions to attain statehood and Colorado’s remaining 53 counties. 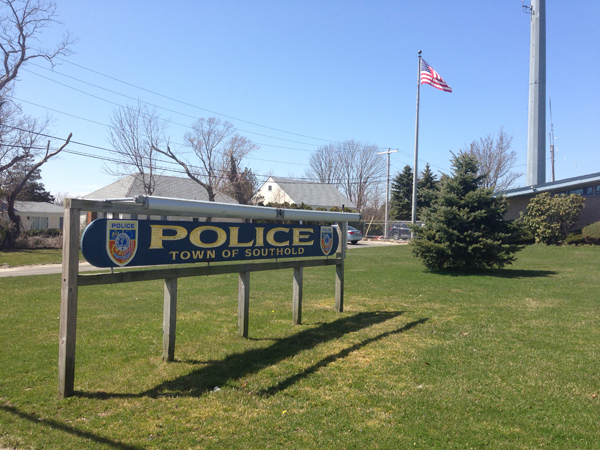 Before I am accused (again) of being a Demon Democrat, let it be known that I will be voting for at least one lifelong Republican in next month’s local election: Southold Town Justice Bill Price Jr. It just so happens he’s running as a Democrat because, for reasons unknown but hotly speculated upon, his own party declined to endorse him for re-election and Southold’s largely disorganized and dysfunctional Democratic Party saw an opportunity it could not resist. I have my own theories, all of them speculative, as to how and why this happened. It’s because Bill Price is his own man and unwilling to take direction from GOP leaders. It’s because his Republican-endorsed opponent, Bill Goggins, is a good party soldier willing to take direction from GOP leaders. And it’s because, I have on reliable authority, Bill Price wears a small earring in one ear, much to the chagrin of certain elements of the GOP establishment. Seriously. As the Price campaign ads have reminded us throughout this election, if it ain’t broke, don’t fix it.